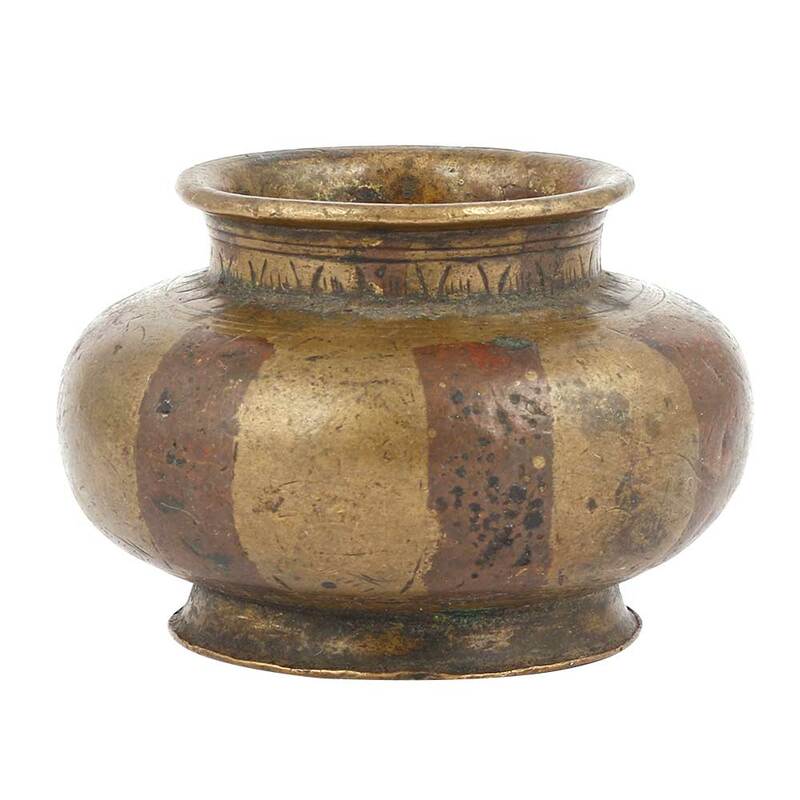 The pot is made of bronze and is handpainted and this pot is handmade by the local craftsmen of India. 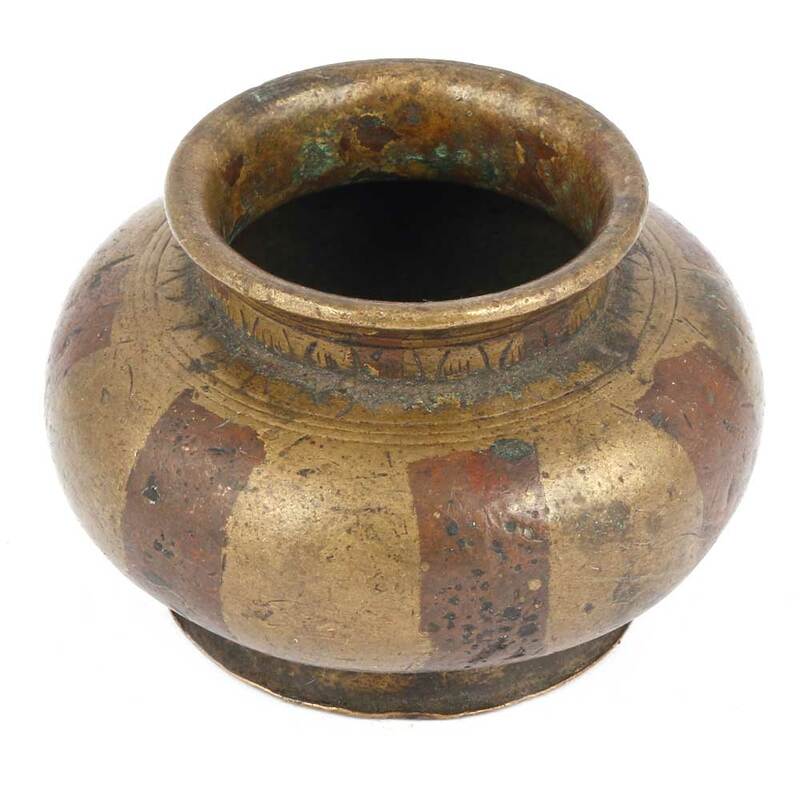 This pot is beautifully painted and has small engraving around the neck of the pot. It can be used for gifting, decoration etc. and it has a base to maintain balance to reduce spilage.